Small chapels are liberally scattered around Brittany; many villages have several. They are testament not only to the importance of faith in the region's history but also to the relative isolation of many small communities in the days before modern transport infrastructure. 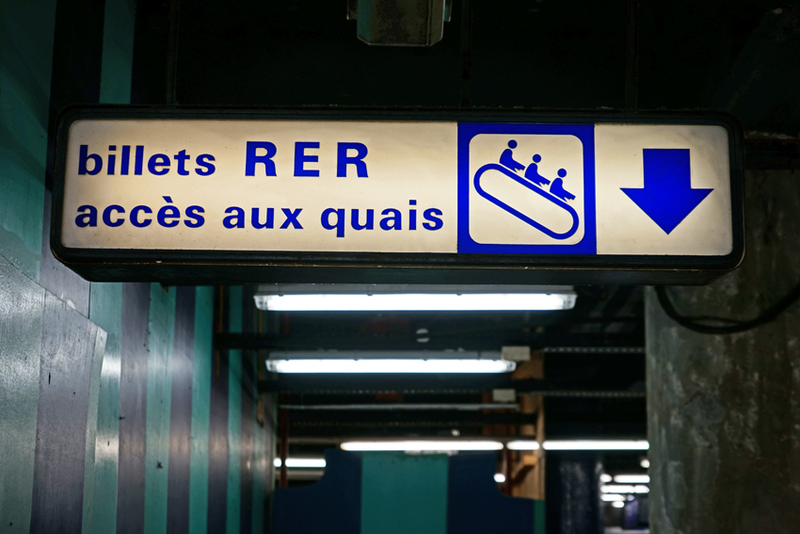 Many also incorporate pre-Christian beliefs about the healing powers of springs or stones: Brittany is thus famous for its abundance of healing saints, many not recognised by Rome. The chapel used to have a statue, Our Lady of Rothouers, which has now been moved to the church. The statue in front of the door is a more recent work by a local artist. Francis Guinard was born in a nearby village and studied art in Rennes before moving to Paris in 1931; shortly after he returned to live in the area, his granite statue of Mary and child was placed here to mark the chapel's centenary in 1958. The site also housed a miraculous fountain - these, too, are common in Brittany. 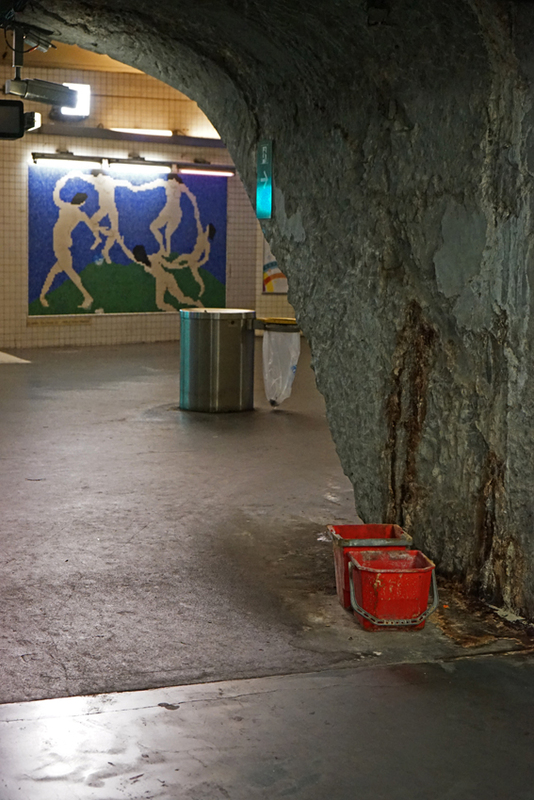 It has largely dried up and disappeared, however. It may not be especially historical or exciting in its own right, then, but the Chapelle des Rothouers tells an important story all the same. 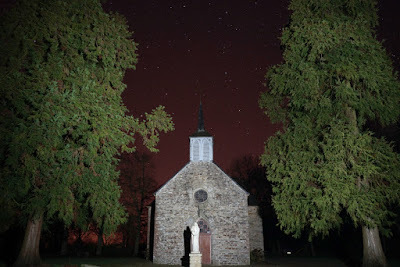 It is one of thousands such chapels which were a central part of Breton life and a link with its land and ancient past, and which remain a central part of its social and physical landscape today. 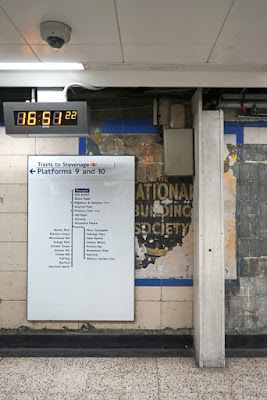 Moorgate Station is being stripped and retiled, and for the most part the walls are strangely bare - with an intriguing exception. By the ticket barriers for the Stevenage trains, among the tiles and signs, a painted advertisement from the past peeks out. 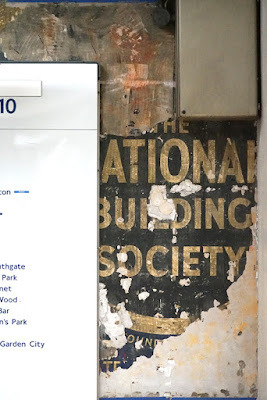 We can make out some words: 'The National Building Society', and a hint of 'founded' at the bottom. It's apt: the National Building Society was based in Moorgate. 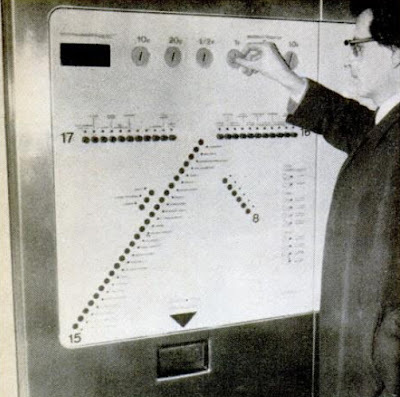 It had been founded in 1849, as the National Freehold Land and Building Society, by three Liberal MPs; by 1944, when it merged with Abbey Road to form the Abbey National, it was the sixth largest British building society. 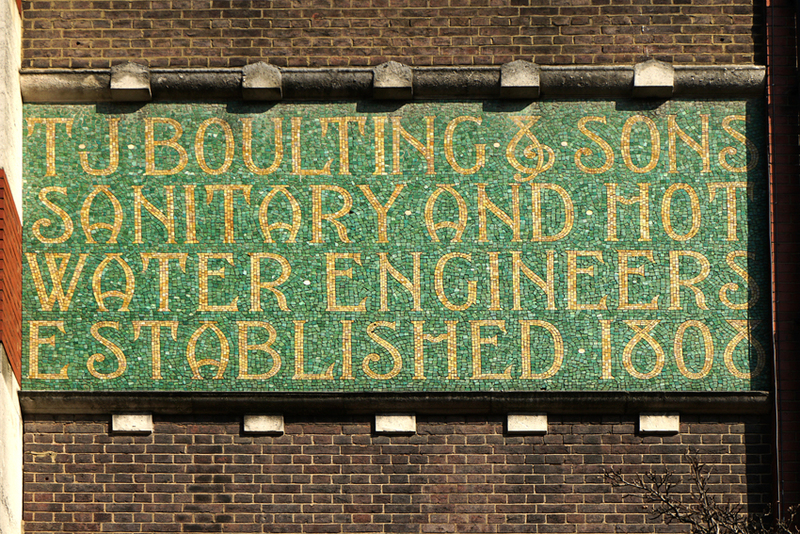 Mutual building societies, owned by their members, began in the late eighteenth century; they boomed in the nineteenth and twentieth centuries, but legislative changes saw most of them become limited companies in the 1990s. 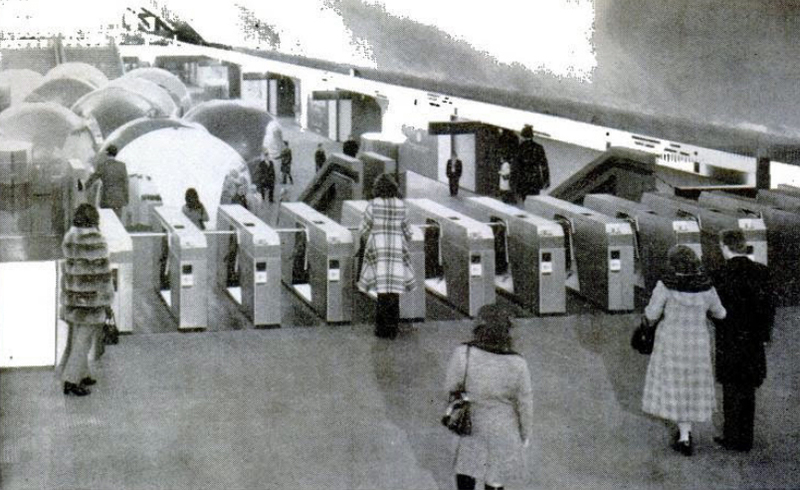 The first building society to demutualise, the Abbey National became a bank in 1989. Now, the Abbey National is also gone, submerged into Santander. And this little bit of history may soon go, too - but for the moment, it offers a glimpse of this important strand of our financial past. 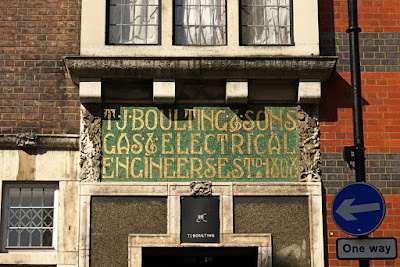 Almost a century after they were established, TJ Boulting & Sons adorned their new premises with richly-coloured, Art Nouveau signs. 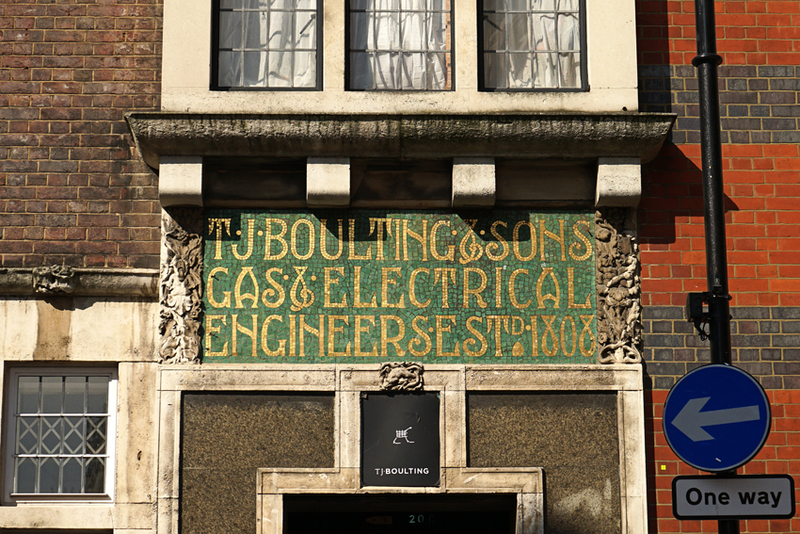 The elegant colours and flowing forms seem ill-matched to a business as prosaic as a 'range and stove manufactory', 'sanitary and hot water engineers', and 'gas & electrical engineers'. 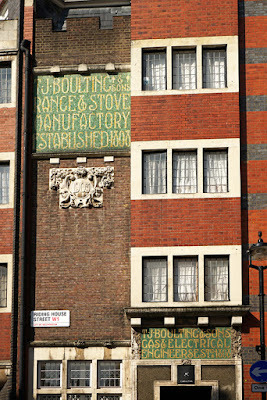 Ornamental Passions, in taking a look at ornamentation beyond the mosaics, suggests that this was the showroom rather than the manufactory. 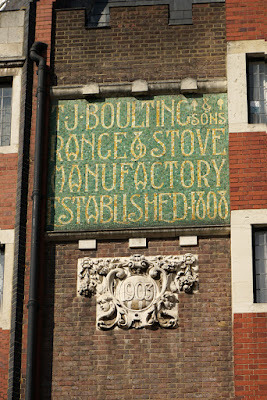 The signs date the firm's foundation to 1808; back then, it was known as 'John Boulting & Son' (John name of its founder and next two owners). 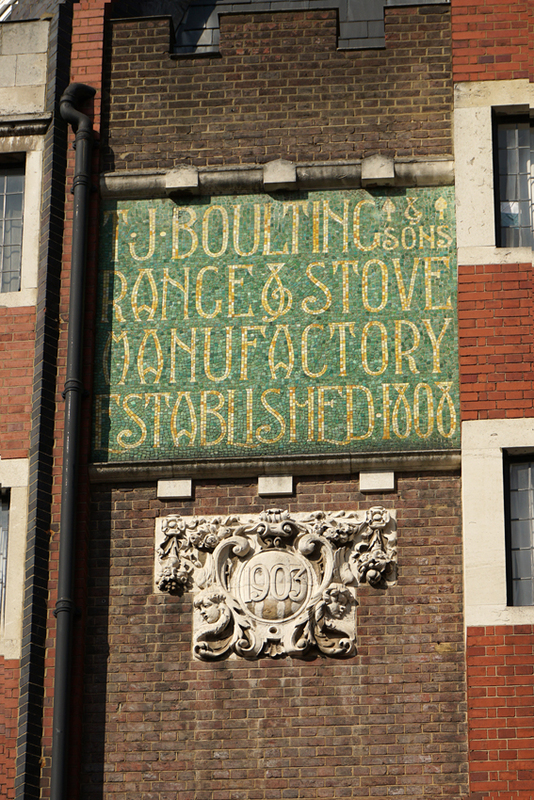 Only in 1879 did it become TJ Boulting & Sons, when Thomas John - former partner of the third John - took it over. 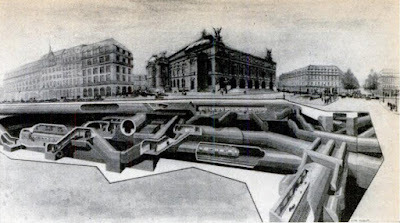 It seems that Thomas's son Percy was the driving force between these new premises; in his twenties when they were built, and possibly with some architectural training, he was eager to see them in the latest style. 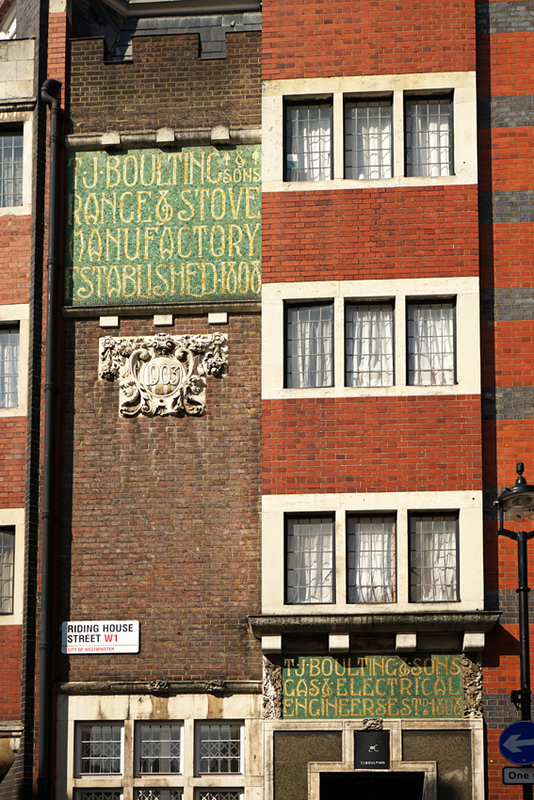 The building is the work of Herbert Fuller-Clark, also responsible for the Art Nouveau delight that is the Black Friar pub.The Boultings apparently occupied their premises until the 1960s. Today, the premises house an art and photography publisher, Trolley Books, and their gallery - which has, very nicely, kept the name TJ Boulting. Before the National Health Service ensured free medical treatment for all, the sick were often dependent upon charity. The wealthy hospital of St Bartholemew's in Smithfield had Crown endowments given when Henry VIII refounded it after the Dissolution, as well as various bequests to fund its work, but public giving to help the impoverished was also encouraged. Wealthier philanthropists could subscribe to bodies such as Deptford's Kent Dispensary, giving relatively large amounts of money in return for the ability to recommend patients. Those of less commitment or more slender means could simply put money into a hospital poor box. Such boxes had a history at least as old as Bart's Hospital's refoundation: legislation of 1536 required them to be placed in every church, and their use soon spread to other places including hospitals. Charitable donations to the poor were encouraged by both church and state. Some of the finest survivals are still in situ, in the Henry VIII Gate of St Bartholomew's Hospital. 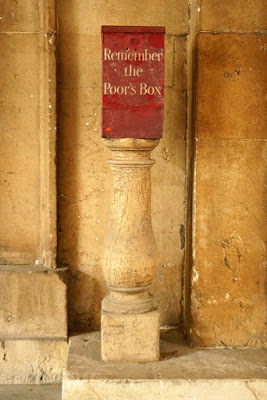 These red boxes, bearing the message 'Remember the Poor's Box', are believed to date from the early nineteenth century. One frosty morning, walking across the campus of Birmingham's Aston University, I nearly slipped over as this ghost sign distracted my attention from the icy ground. Loss of dignity aside, what a great start to the day! The sign is on the end wall of the Gosta Green pub, and clearly pre-dates the windows as well as the name sign now partly obscuring it.Enough remains visible for us to make out the words 'Holt Brewery Co Ltd - Brewers of ... Malt Ales & Stouts, Importers of Wines...' Flickr comes to our rescue here: an earlier photo shows that the missing word is 'Pure Malt Ales'. 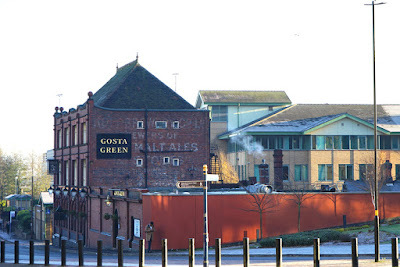 Not to be confused with Holt's of Manchester (still brewing today), the Holt Brewery Company was founded in Aston in 1887, taking over Henry Fulford's brewery. 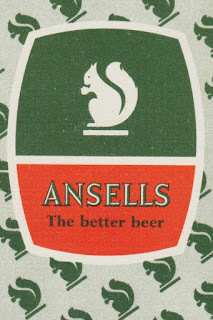 They continued to acquire other breweries, as well as 250 pubs, but were themselves taken over by Ansells in 1934. Its logo, a red squirrel, survived in Ansells' beer labels. 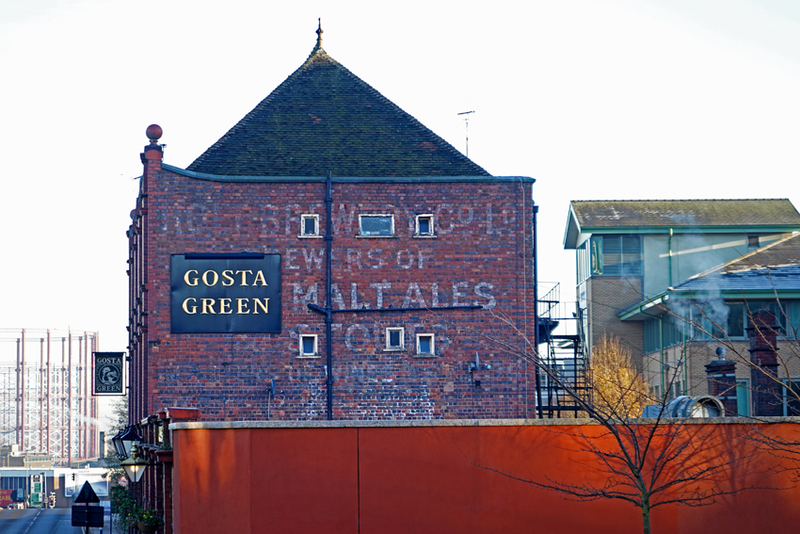 Along with this ghost sign, another intriguing trace left by the brewery is its black book of 'habitual drunkards', discussed on Wayward Women. 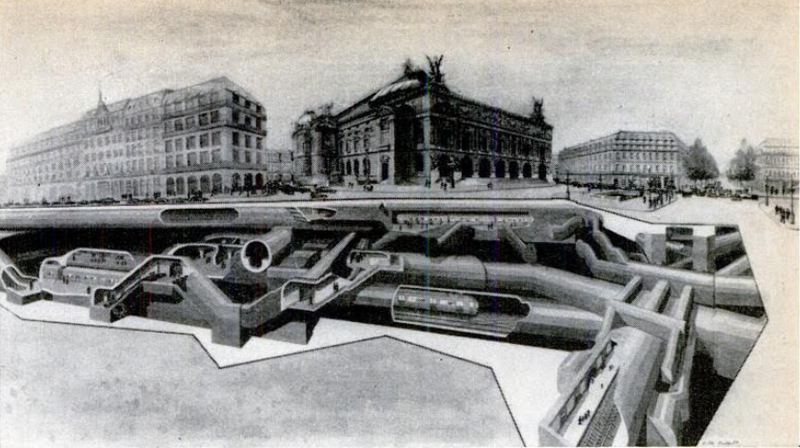 History can survive in unexpected ways!